First week of September autumn folliage is at its peak in Denali National Park. 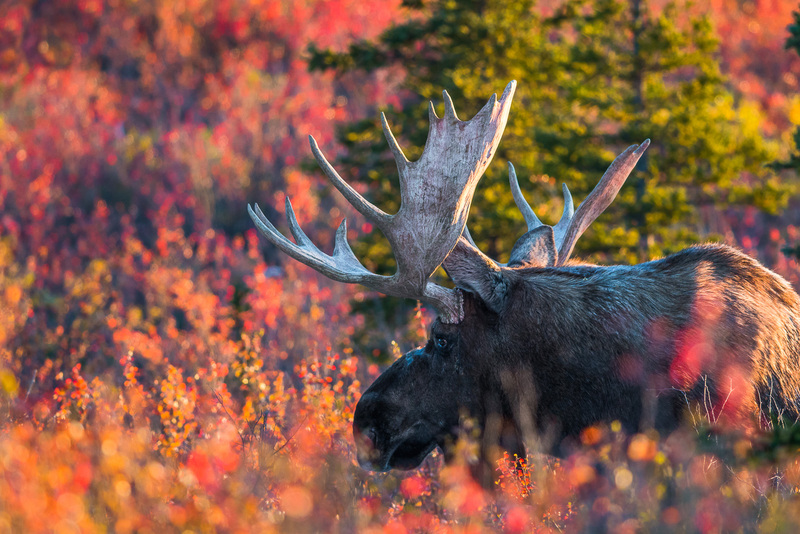 Moose start to gather for the seasons rut. Photo © copyright by Lance B. Carter.